the way His words roll off His tongue. the fire in His no doubt soot lungs. longer something that i can see. About “The Corner of First and Amistad”: As a child, I always fantasized about the tangible presence of a higher power on Earth. The notion that sanctity could reside in the common man, and that sainthood could be bestowed regardless of aesthetic, blurred the traditional moral dichotomy between good and evil to which I was accustomed. In this poem, I wanted to capture the poignant image depicted in the opening lines of The Fray’s “You Found Me” – an impression of genuine spirituality in the everyday dweller that I internalized at a young age. 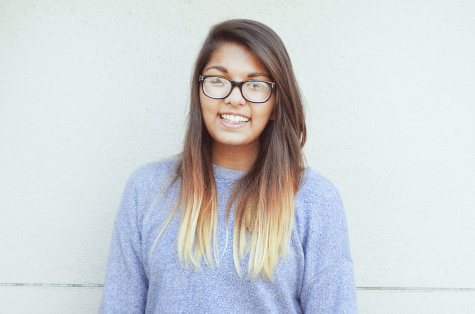 Juhi Gupta is a student journalist, amateur photographer, and aspiring writer from the San Francisco Bay Area. Her work has garnered recognition from the Journalism Education Association, the Scholastic Art & Writing Awards, and the National Federation of Press Women, among others. She currently resides on the editorial board of two literary magazines and interns at The Prospect.